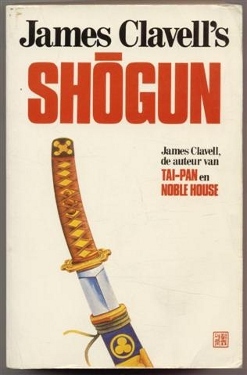 Based on James Clavell's eponymous best-selling novel, Shogun (1980) served as one of the era's most popular and acclaimed mini-series events alongside the likes of Roots (1977), Jesus of Nazareth (1977), and Lonesome Dove (1989). Originally airing on NBC over five nights in September, the 547-minute Shogun was also the first---and, to this day, the only---American mini-series shot entirely on location in Japan. Factoring in the subject matter, length, and language barrier (including the presence of non-subtitled Japanese dialogue), it's miraculous that Shogun ever saw the light of day...but the gamble worked, as Shogun hit that rare sweet spot between commercial and critical success. 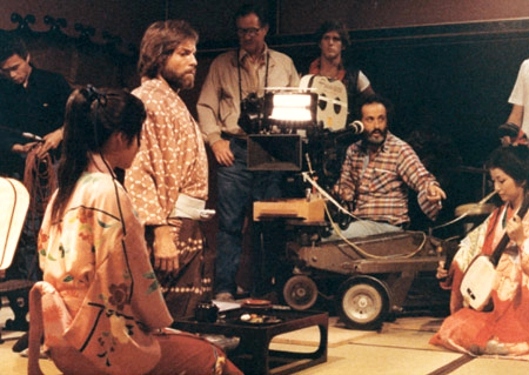 Almost immediately, the original, full-length Shogun developed something of a mythical reputation, even during what is now known as the TV mini-series' "Golden Age". 40-somethings with cool parents may have been lucky enough to watch it as kids---and, more than likely, were mesmerized by its exotic locales and boundary-pushing content---while anyone older than that is probably at least passively aware of its existence, even several decades later. Repeat showings were aired sporadically (and, in some cases, slightly trimmed for content), while anyone lucky enough to own a VCR at the time probably clung tightly to their homemade "boxed sets". To my knowledge, the first domestic full-length release of Shogun finally saw the light of day in 1994 as a four-tape VHS collection, while the subsequent DVD set arrived in 2003. A belated 30th Anniversary DVD edition surfaced in 2011, with the only conceivable difference being the cover art. In other words, I'd imagine that anyone interested in Shogun has likely seen it on an earlier format than CBS' new three-disc Blu-ray set; after all, an ambitious production like Shogun doesn't earn multiple Peabody, Golden Globe, and Daytime Emmy nominations (and awards) only to quietly fade into obscurity. Yet, for obvious reasons, new life is breathed into this visually ambitious production via the new 1080p transfer and lossless 5.1 audio, ensuring that die-hard fans will appreciate the improvements and those new to Shogun will be impressed by its technical pedigree. Though a lack of new supplements is extremely disappointing, those with fond memories of Shogun---and, of course, interested first-timers with money to burn---should enjoy themselves in equal measure. If you count yourself among the latter, a brief synopsis and critique is below; everyone else can just skip further down to the technical portion of this review. 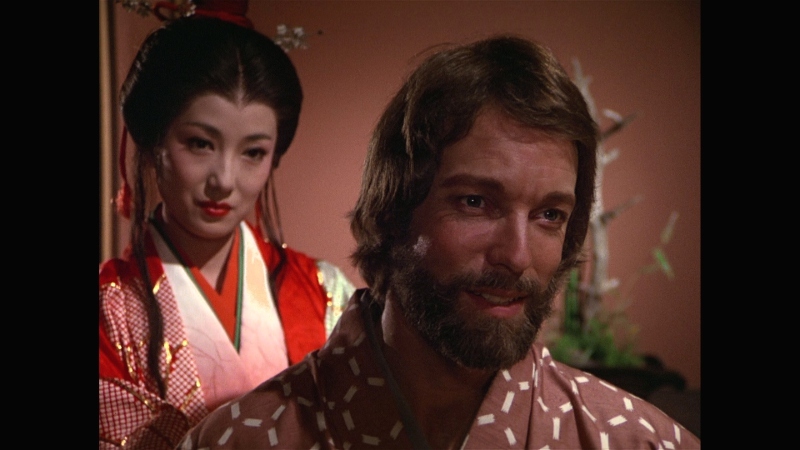 (Relatively) spoiler-free synopsis: Shogun stars Richard Chamberlain (Centennial, The Thorn Birds, Dr. Kildare) as John Blackthorne, navigator aboard The Erasmus who, along with members of his crew, is shipwrecked near the coast of Japan at the end of the 16th century. A courageous and beloved leader, Blackthorne hopes to lead his crew out of the foreign land, yet their initial reluctance to align themselves with Japanese culture doesn't sit well with their captors. Other elements also work against their favor: aside from language barriers, the established presence of Catholics and Portuguese merchants ensures that English Protestants aren't welcomed with open arms. 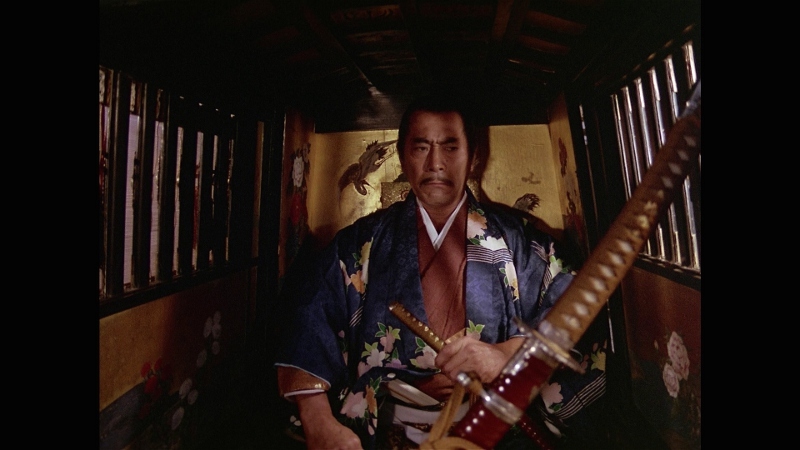 Yet Blackthorne's knowledge of sea routes proves valuable to powerful Lord Toranaga (Toshiro Mifune - Seven Samurai, Yojimbo), with whom he eventually forms something of a business partnership. Their interactions are moderated by Lady Mariko (Yoko Shimada, Castle of Sand), Blackthorne's appointed translator and his buffer for this new culture. Naturally, he develops feelings for the married Mariko, and it's Blackthorne's relationship with both that drives much of Shogun's sprawling narrative. Clavell's novel clocks in at well over a thousand pages, so it's not surprising that many subplots and subtleties remain exclusive to the book...but, taken on its own terms, this adaptation still earns points for sheer ambition. 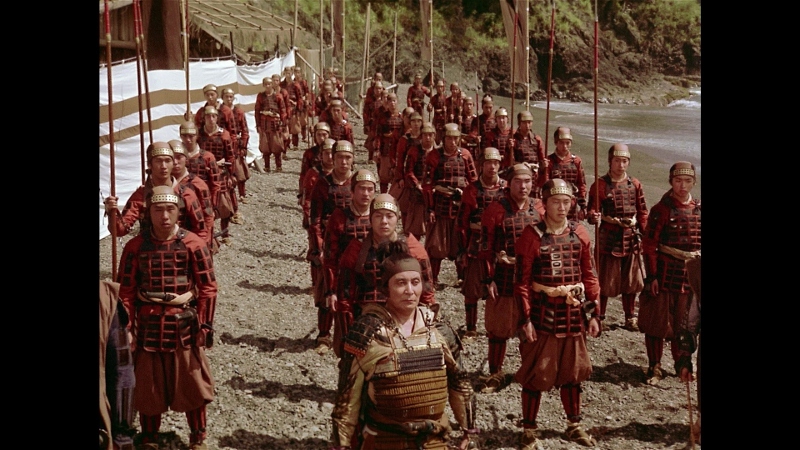 The production design and costumes are excellent, giving Shogun a sporadically epic atmosphere. Chamberlain represents Blackthorne (in turn, based on English navigator William Adams) nicely, filling a role initially offered to Sean Connery. Mifune lends plenty of authority to Toranaga; not surprising, given his established career as a Kurosawa regular. Yoko Shimada also shines in her key role, especially considering the fact that she didn't speak English and was coached phonetically. Shogun's length doubles as its greatest strength and most obvious handicap. It occupies a timeframe that neither completely satisfies fans of the book---which, in all honesty, would be all but impossible---or appeases those looking for a (comparatively) breezy three-hour epic adventure. Could a lot of material have been cut with minimal impact to the overall story? Perhaps. Yet some of these mundane moments are what give Shogun its lasting appeal: Blackthorne feels more like a real person than just another movie hero, and the same goes for his friends and enemies. And let's be honest: Shogun just doesn't fit the template of a feature-length blockbuster, as evidenced by the infamous 125-minute European theatrical cut. Other more egregious errors still stick out like sore thumbs, including Orson Welles' unnecessary narration. But Shogun still packs a punch, at least enough to entertain those with a soft spot for historical drama. Presented in its original TV-friendly 1.33:1 aspect ratio, Shogun looks quite good and ranks several notches above its DVD counterpart. Image detail is much improved overall, from the consistency of black levels to costume and skin textures, and the consistent presence of natural film grain is also quite pleasing. Colors seem to be better resolved as well, leaning ever-so-slightly away from the yellowish-green tint of older releases. Even most of the darker scenes hold up nicely, while no flagrant digital issues---including excessive noise reduction, compression artifacts, and the like---could be spotted along the way. There are sporadic moments of print damage and other source material defects, such as occasional dirt or water on the camera lens and mild water damage during a scene or two. But the vast majority of Shogun is clean as a whistle and looks excellent, whether you're a die-hard fan or completely new to the production. DISCLAIMER: The screen captures featured in this review are strictly decorative and do not represent this Blu-ray's native 1080p resolution. Viewers are given the option of DTS-HD 5.1 Master Audio or restored 1.0 mono tracks in the original English/Japanese, although the latter (like CBS' Blu-ray releases of Star Trek: The Next Generation) is only limited to lossy Dolby Digital format. Aside from that unfortunate oversight, it's good to have a choice: the mono sounds quite strong and will appease purists and those who watched it on network TV, while the surround remix offers a more dynamic experience overall (and the bump to lossless easily outpaces the DVD's 5.1 track). There are moments when this remix feels in over its head: surround effects occasionally sound hollow and, more often than not, don't feature strong channel separation. But Shogun sounds quite good for its age no matter which track you choose, while optional dubs are included in French, German, and Japanese (Dolby 1.0 only). As expected, the optional English subtitles replicate the original broadcast experience, translating all of the English speech and most the Japanese language understood by our protagonist. CBS' menu interface is smooth and simple, though a handful of annoying logos and pre-menu warnings must be dealt with beforehand. Oddly enough, Parts 1-3 (divided one per disc, approximately 3 hours apiece) are not given chapter menus, although roughly a dozen stops are included for each one. This three-disc package is similar in design to the previously mentioned Star Trek: TNG and is housed in a space-saving hinged keepcase with matching slipcover; no inserts are included, although content descriptions are printed on the interior artwork. Speaking of which, the cover artwork is a step down from earlier releases, playing up Shogun's minimal swordplay with a cold, underexposed duel between our two male leads (and an ugly font!). In my opinion, the 30th Anniversary DVD artwork was much better. Everything from earlier DVD releases; no more, no less. These recycled supplements include a 79-minute Behind-the-Scenes Documentary (divided into several chapters), as well as three brief "Historical Perspective" Featurettes and a series of short Audio Commentary Segments during selected scenes by director Jerry London. Overall, it's a nice mix of extras for a TV mini-series approaching the 35-year mark, but the lack of new retrospective interviews, deleted scenes, etc. remains disappointing. It's truly a missed opportunity and the only aspect of this release that doesn't impress. Shogun's success and lasting influence is well-known by now, whether you watched it during its original network airing or got caught up later on VHS or DVD. 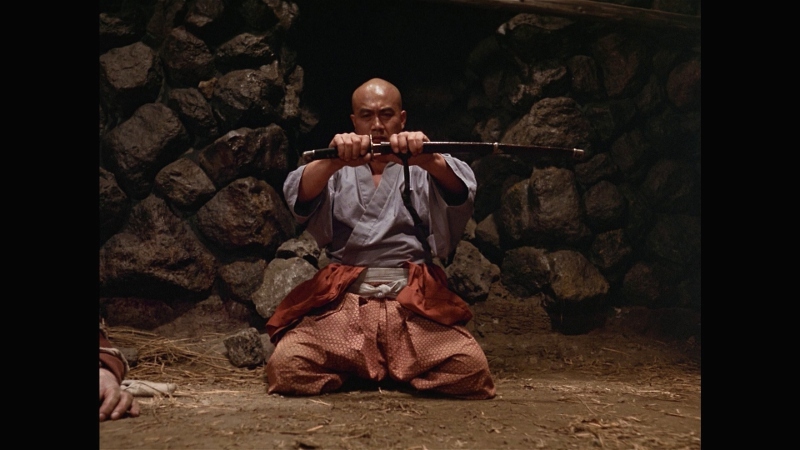 Featuring an ambitious scope, terrific production design, solid performances and, without question, a number of boundary-pushing moments, Shogun has aged fairly well during the last 34 years and still packs a punch. There are a few holes in its armor, though, including a wildly uneven pace and its infamously excessive running time; these aren't as apparent the first time through but somewhat hinder Shogun's replay value. Even so, this is quality entertainment and CBS' Blu-ray package is the best way to experience it. Those new to the mini-series may want to rent this one first (or pick up a DVD edition on the cheap), but die-hard fans should have no problem shelling out for this high definition upgrade (aside from the absence of new bonus features, of course). Recommended. Randy Miller III is an affable office monkey by day and film reviewer by night. He also does freelance design work, teaches art classes and runs a website or two. In his limited free time, Randy also enjoys slacking off, juggling HD DVDs and writing in third person.